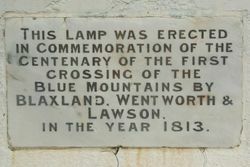 A lamp commemorates the centenary of the first crossing of the Blue Mountains by Blaxland, Wentworth and Lawson in 1813. 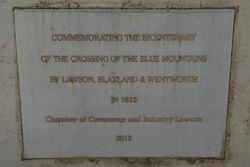 A plaque was added in 2013 to commemorate the bicentenary of the crossing. 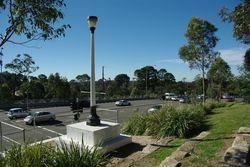 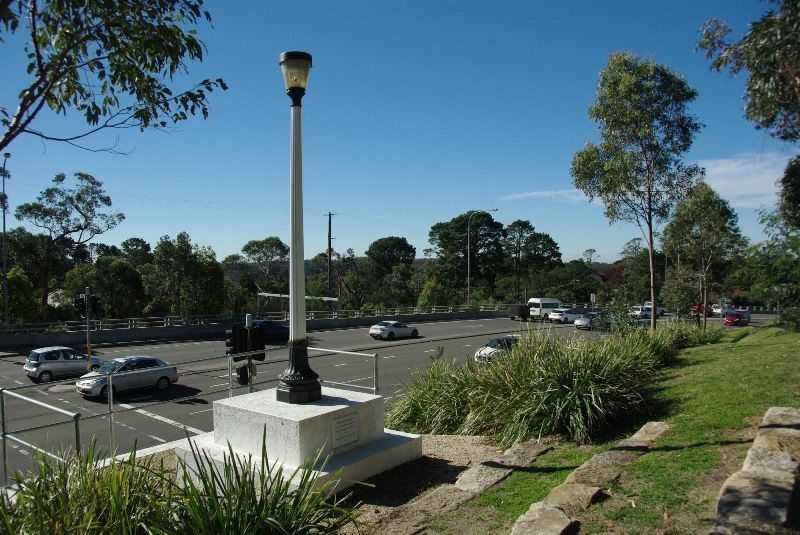 This lamp was erected in commemoration of the centenary of the first crossing of the Blue Mountains by Blaxland, Wentworth & Lawson in the year 1813.